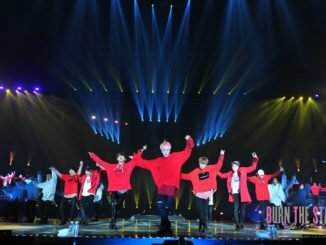 HomeNews[NEWS] M Countdown celebrates 10th Anniversary with K-Pop Song of the Decade + to air a special episode on July 24! [NEWS] M Countdown celebrates 10th Anniversary with K-Pop Song of the Decade + to air a special episode on July 24! M COUNTDOWN, the world’s No.1 live K-Pop chart show, will celebrate its 10th anniversary with a special online poll allowing fans to vote for their favorite K-Pop song of the decade. K-Pop fans worldwide can place their votes by visiting the show’s official website or K-Pop portal Mwave until July 24. As part of selecting the favorite song of the decade, a group of music experts will determine a pool of songs fans can choose from. The pool will include great songs from 2004 when M COUNTDOWN first began airing to 2014. From this pool, the song fans vote as their favorite will be performed during a special episode to air live on July 24 at 18:00 (KST). The special episode will also relive the best moment of M COUNTDOWN from the past decade, the best MC, and more. Celebrating its 10-year anniversary, M COUNTDOWN is the world’s No.1 K-Pop chart show which airs live every Thursday on CJ E&M-operated music channel Mnet and is broadcast to 13 countries worldwide including South Korea, Japan, the U.S., Australia, Singapore, Taiwan, Hong Kong, Thailand, the Philippines, Malaysia, Cambodia, Myanmar, and Indonesia. 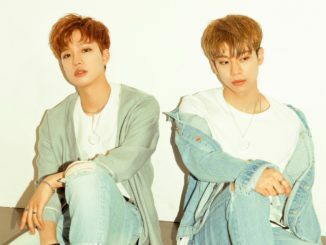 MXM To Make Multi-Stops In Asia For Their “UNMIX” Promotional Tour – Will Singapore Be Next?